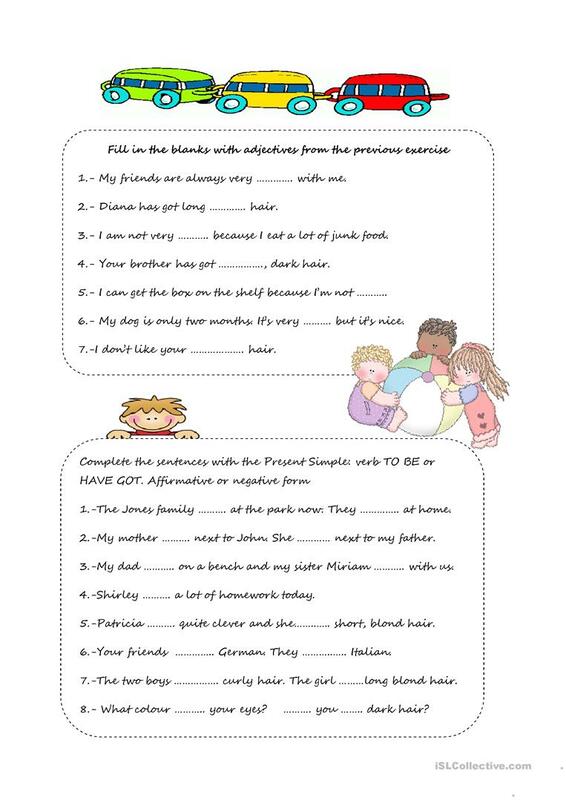 Here you have some exercises on possessive adjectives, another exercise where sts unscramble words and two more exercises to practice verb to be and have got. The above downloadable handout was created for high school students and elementary school students at Pre-intermediate (A2) level. 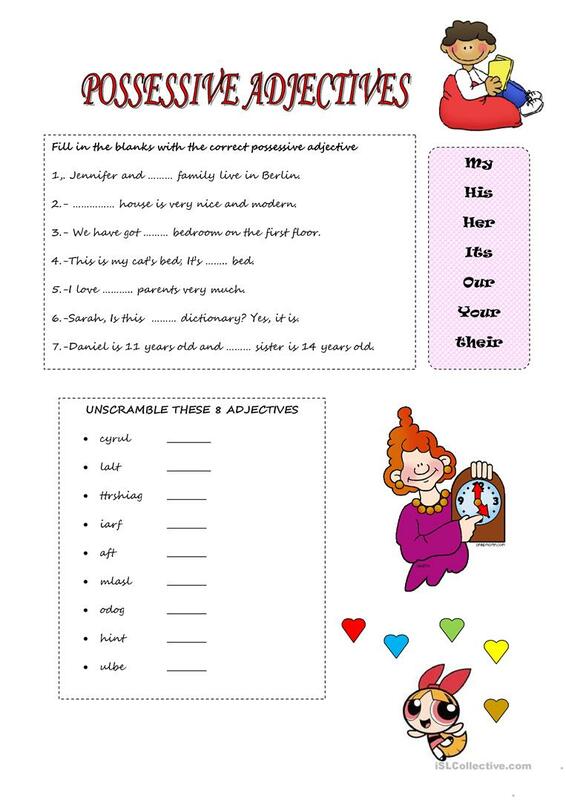 It can be used for enhancing your learners' Writing skills.